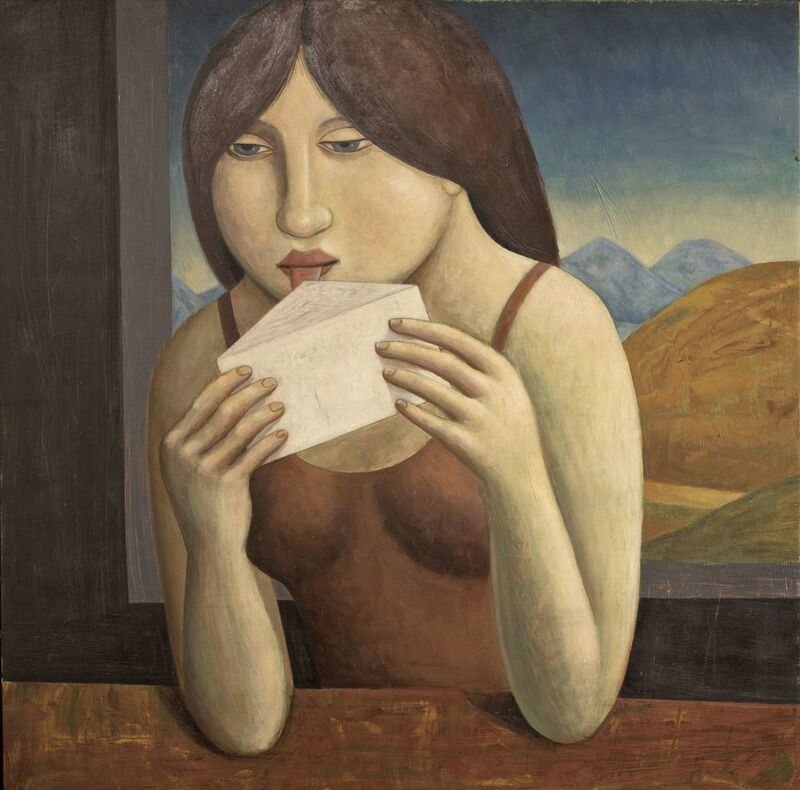 This painting continues the theme of a young woman with her tongue protruding from her mouth. In this case the tongue is there to seal a letter. In our present age their has been a lot of talk regarding the sad obsolescence of letter writing in a world of texting and email messaging. Though digital communication is tremendously efficient, it will never have the sensual and emotional impact of a hand written letter sealed with a kiss. What this means is that the letter now has more potential than ever to cut through to the heart of a person. In our day the letter has this special ability because it has become much more rare and things that are rare are simply more valuable and more powerful. It just may be that a well written personal letter is now a more potent way to communicate than it ever was in the past.